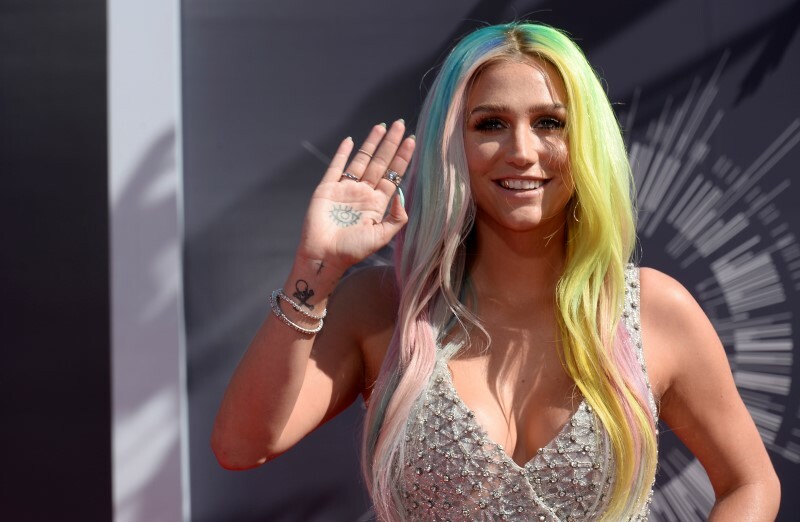 latestnews1947: Singer Kesha arrived at the Los Angeles International Airport in a pair of jeans and sheer top with no bra. She reached the airport on Tuesday. She was all smiles as she was photographed returning from Japan at the airport that day with her boyfriend Brad Ashenfelter, reports aceshowbiz.com. The singer opted for a casual look, wearing a grey T-shirt which she teamed with a pair of back distressed jeans, a heavily-studded black leather jacket which she left unzipped, and a pair of bright blue shoes. Her assets could be seen through her sheer top as she wore no essentials. She had a long-sleeved flannel shirt tied around her waist and wore a neon green beanie.